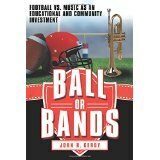 In the months ahead I believe the book “Ball or Bands: Football vs. Music As An Education and Community Investment ” Archway Publishing, Bloomington, Indiana, ISBN 978-1-4808-1095-2, 234 pages, $17.90, available at Amazon.com) by John R. Gerdy will provoke a great deal of controversial discussion during school board meetings across the U.S. This book should be a “must read” for every member of a local community school board. I recommend it also be on the reading lists of school educators and leaders in higher education. The son of a high school football coach, author Dr. John R. Gerdy was an All-American at Davidson where his basketball scoring records stood for 30 years. Injuries shortened his professional career to three years. He then got his master’s degree in sports administration and a Ph.D. in higher education from Ohio University. He worked for the NCAA and for six years was associate commissioner of the Southeastern Conference. He has written five books on sports and higher education and is exceptionally qualified as the author of this book. Gerdy points out that his book is not specifically about football and music but about education and community values reflected through educational policy and institutions. “A serious and honest discussion about the role of football in schools and communities is long overdue. The purpose of this book is to frame that discussion in a way that goes beyond the tired anecdotal arguments and justifications for these activities,” he says. “A changing environment requires a change in educational priorities, strategies and tactics. 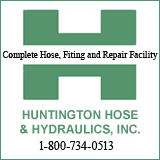 The only way we can effectively meet increasingly complex challenges in a world of rising expectations and declining funding is by becoming more efficient and effective with the resources we do have,” he adds. “We’ve got to do more and achieve better results with less. Each and every component of our educational system must be evaluated as to effectiveness at delivering educational results. Gerdy includes choir and choral groups with bands when he writes about music as an extracurricular activity. In the extensive research he did for “Ball or Bands” he compares how both football and music develop character, discipline, leadership and teamwork and teach life lessons and values. He writes that 49 percent of students who spend one to four hours in extracurricular activities are less likely to use drugs and these activities engage students who are minorities and from disadvantaged backgrounds. A study in Minnesota cited such students had higher grade point averages and were absent fewer days of school. His book cites another survey where 18-25-year olds who participated in high school sports are more likely to be engaged in volunteering, voting, feeling comfortable speaking in public and watching news. He also reports an NCAA survey that less than one in 17 boys in high school play football and of those who do, 96 percent will never play again compared to a musician who will play for most of his or her life. He notes the dangers of concussions and that former National Football League players are 19 times more vulnerable than men ages 30-49 to develop memory-related diseases and Alzheimer’s. “We have a sports culture and system in our schools that is badly out of step with our nation’s health needs. Our school-based football programs are designed to accommodate individuals who demonstrated exceptional athletic potential at the expense of those who don’t or haven’t yet,” Gerdy writes. “Our sports programs are elitist and exclusionary. If we were interested in deriving the greatest health return on dollars more should be spent on broad based, participatory, intramural, club and physical education programs. “The U.S. is the only country in the world in which elite athletic programs are sponsored by high schools and universities. In Europe responsibility is borne by private sports clubs or professional teams,” he continued. “When compared to other countries, American students fare poorly academically when compared to Japan, Germany, France and South Korea where students consistently perform better in science and math. The U.S. consistently ranks last in the area of physical fitness. “Unfortunately youth sports are no longer about the kids. As winning has become increasingly important, coaches have increased control. The adults have taken the game away from the kids and, with it, the potential for sports to teach children, teenagers and young adults desirable character traits and practical skills like decision-making, communication and personal responsibility. Potential for athletics as an educational tool has diminished,” Gerdy writes. Gerdy, a lifelong musician, in 2006 founded Music for Everyone that has had a significant impact in Lancaster, Pennsylvania. The nonprofit foundation is dedicated to cultivating the power of music as an educational and community building tool and has given $1 million in grants, scholarships and program support including some 2,000 instruments for school children. Rene A. Henry, a native of Charleston, WV, spent five decades of his professional career in sports at all levels and 10 years in higher education. The Seattle author writes on a variety of subjects, has authored nine books and many of his articles are posted on his website at www.renehenry.com.